Dina Bennett’s on the road again—and she can’t stop! Having completed the 7,800-mile Peking to Paris Classic Car Challenge while braving carsickness and patching rocky marital relations, she’s once more in over her head, enduring 100,000 miles of road trips through the world’s out-of-the-way places. Drawn to strange foods and intriguing views into the kaleidoscope of local life, and with a knack for getting into—and out of—awkward situations, Dina gives you the world in all its glory. She’s a born storyteller, uncovering the curious and unusual in the ordinary, bringing you along on vivid experiences in laugh-out-loud style. 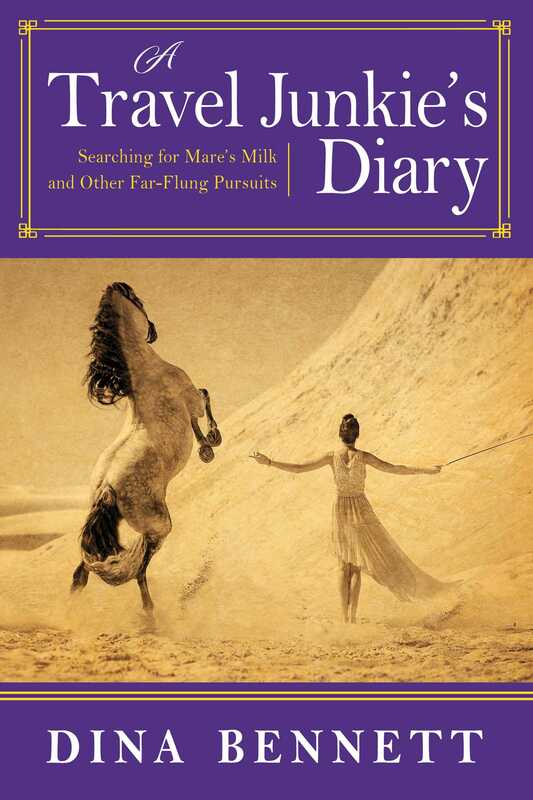 Neither particularly brave nor wild, she opens her diary of personal triumphs and embarrassments, suspense and discovery, in places most will never get to. Join her as she stands knee-to-knee with a Tajik border guard in his bedroom, hunts down camel pad meat in the street markets of China, and seeks out the source of mare’s milk in Kyrgyzstan. Whether stranded on a sandbar in Myanmar’s Chindwin River or sharing barley beer with an ex-Black Panther in Ethiopia, Dina’s observations are half prying neighbor, half best friend gossiping together on the crooked path to enlightenment. The tales in A Travel Junkie’s Diary plunge the reader right into the midst of exhilarating travel experiences, with all the smells, sounds, sensations and emotions of being right there. They are by turns fascinating and frightening, endearing and bittersweet, humorous, humiliating, and always engrossing.